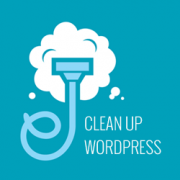 You can go through items and clean them individually, or you can scroll down to the bottom of the page and click sweep all to clean up everything in your WordPress database. 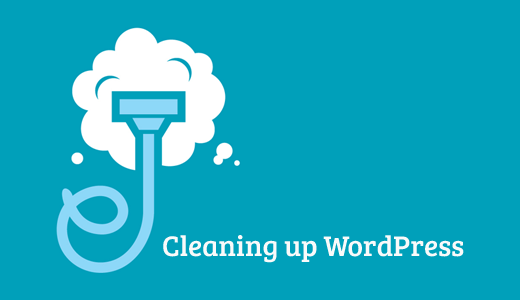 That’s all, we hope this article helped you clean your WordPress site using WP-Sweep. You may also want to check out our guide on the most common WordPress errors and how to fix them. Both are great plug ins. Normally you don’t even need to do backup. But its always good to be on safe side. WP Sweep – what a plugin. I have a WP site that hadn’t had much love over the past 18 months and somehow had a 1.4Gb DB. Worryingly WP Sweep managed to reduce that to just over 17MB. 2017 update? anyone else sharing their experience? Usability ? Thank you for the useful information on cleaning WordPress Site. This helps me a lot as my site is getting bulky and take a lot of time to get load. Looked promissing but I’m not sure about the result. I had about 2600 revisions.. hoped cleaning them would make a difference but it didn’t, at least not in database size, might even be bigger now .. about 800MB.. What options are there to compact database if cleaning up doesn’t help? By the way: looked like wp-sweep locked up a couple of times.. after refesh I noticed that the numbers were decreased and I started again, and again, and again till all revisions where removed. Can’t say I’m excited about wp-sweep but maybe I used it wrong, is that possible? Cleaning database is very usefull especially for large ones. I really enjoyed this article, the layout, and the links. I really just had to say I appreciate the 50 second video that quickly and easily explained what to do and the lead in of backing up your site with a quick little article to find a backup service. I’m new to WP and blogging but trying to learn fast and after viewing this page I can tell I’m going to be spending a lot of time on your site! Well done and thanks! Nice job .. on article and plugin … Are the WP-Sweep commands visible under WP-CLI? I had wp optimize on my “to install” list, but after seeing this post I downloaded WP sweep. it’s so easy to use. I usually clean up my spam comments, but I know that I have a lot of revisions on my posts so it’s good to get rid of those! yet another great article. Good job guys, I have never thought about about a database clean-up for my WP sites but now thanks to you, I will be doing a clean-up ASAP. 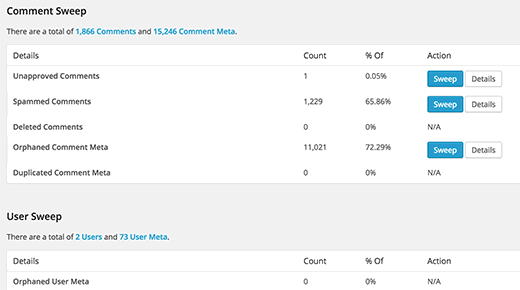 We’ve been using Wp-Optimize plugin and it works great with similar options to the plugin mentioned above. What you suggest Wp-Optimize or WP-Sweep ? Thanks for writing and sharing such useful plugin with the community. Great and really easy to use but before make a back-up it is very important. Certainly cleaned up a lot of trash from my main website. Like Broken Link Checker it is a really useful plugin. A question; I deactivate such plugins until I next need to use them as I gather that can improve performance. Is my assumption correct? I agree! I have used a bunch of tools for this purpose before, with mostly good results. But this plugin is SO much easier to use, and really did a great job of cleaning. Of course, some people won’t heed the clear warning to back up first, but that’s human nature, I suppose. A super job by Lester Chan, an under-appreciated outstanding coder and contributor to WordPress! I deleted the wp-optimize and added the wp-sweep but where does one see what the database size is before and after sweeping? That’s the thing with this Sweep plugin. Its author wants things clear, simple, and minimalistic. But I think the UI for such a critical tool like a database cleaning, should be more detailed. Also, the lack of a scheduling feature will make it pass unnoticed. I think the best approach would be if Ruhani Rabin could upgrade its own and well known plugin to use official, native, WP queries to the cleaning. I will ask him what does he think about it. Lester Chan is a great programmer, but I wouldn’t like to abandon WP-Optimize because of the approach.